Ginnifer Goodwin and her co-star/true-life beau Josh Dallas at the 98th Annual White House Correspondents' Association Dinner held at the weekend. Ginnifer was beautiful in her white gown multi-ruffled gown from the H&M Conscious range, off-set with it's black belt and co-ordinating black-and-gold clutch bag. Reese Witherspoon looked utterly elegant as she stepped onto the red carpet at the White House Correspondents' Dinner in Washington D.C. on April 28. Expecting her third child, Reese is now a pro at dressing her baby bump and looked exquisite in her black Monique Lhuillier dress teamed with retro 'do and stunning drop earrings. What a look from Heidi Klum! After a few down days Ms. Klum sure knows how to pull out something amazing for an occasion. Heidi was at the DKMS Linked Against Blood Cancer gala in New York in her silver Temperley London gown. Always one for statement jewels, Heidi wore some sparklers from Lorraine Schwartz which she showed off in her Twitter pic. Some Christian Louboutin shoes completed her look. Ditching her black-and-white look, Camilla Belle went for an orange print for the Tribeca Film Festival Awards in New York on April 26. Camilla teamed the Carven dress with gold Bvlgari hoops and red satin Louboutin shoes. Get a similar red satin shoes look with the Pleaser Satin Platform Shoes which are $99.99 at endless.com. Chloe Moretz was sweet and pretty in her Peter Pan collar at the CinemaCon Awards during the week. Chloe wore the print Kenzo dress with a black Alice band (that's two fairytale name-inspired items) and strappy Jimmy Choo shoes. Chloe's black patent Jimmy Choo "Lance" Sandals cost on-line at bluefly.com. Joining Michelle Pfeiffer at the CinemaCon Awards, Jennifer Garner also wore black and looked fab in her belted Michael Kors design. Adding a touch of colour were her red-and-black criss-cross strapped heels. Get a similar shoe look with the Michael Antonio Strappy "Trace" Sandals which are on-line at endless.com. Michelle Pfeiffer attended the CinemaCon 2012 Awards held at Caesars Palace on April 26. The Dark Shadows star, who turns 54 tomorrow!, picked up the Cinema Icon Award and looked fab in a black sheer-panelled dress and Sergio Rossi sling-back shoes. A few candids of Jessica Alba back from Tokyo and seen heading out in L.A.
Jessica teamed black wide-leg trousers with a sleek blouse and black Prada handbag. Any other outfit IDs will be added later. Cameron Diaz at the Will Rogers Motion Picture Pioneers Foundation event held on April 25. Cam kept it simple in a black Rachel Roy dress that she teamed with Lanvin shoes and a gold Cartier necklace. Nicole Richie papped heading to the National Jean Company opening on a rainy day in Boston. Nicole was there for a fashion show which was to include two of her lines: Winter Kate and House of Harlow 1960 paired with the NJC brands. Doing her brand's a favour, Nicole donned a Winter Kate top and skirt with Helmut Lang jacket. Anna Farris was at the CinemaCon 2012 Awards held at Caesars Palace in Las Vegas. Going a little '20s to match her flapperesque bob she wore a black dress that was also appropriately Vegas with it's silver metallic shimmer. The winner of the Comedy Star of the Year Award she completed the look with simple black pumps. Heidi Klum unveiled the new additions to her WILDLIFE by Heidi Klum QVC Collection at an event in New York on April 25. Brightening up her black dress, the mom of four donned an armful of the colorful watches. Inside she also showed off the statement necklaces, cuffs, and bracelets that will soon be released too. You can check out the current Heidi Klum for QVC jewelry offerings at the official QVC site. Lauren Conrad was at as signing of her new book in L.A. showing off a brand new look. For a guide to some colorful looks and styles, check out the STS Hair pages. Lauren's pink-tipped pony looked fab and was paired with low-key colour Sparkle & Fade blouse and Paper Crown skirt plus shoes from her own LC Lauren Conrad Kohl’s line (currently unavailable). Back on the red carpet for the first time after having son Samuel at the end of February, Jennifer Garner looked glowing in a shimmery Dolce & Gabbana mini dress plus platform heels from Nicholas Kirkwood and David Webb jewels. Looking like herself circa 2006 thanks to her long/black-again hair look, Rihanna attended the Time Magazine 100 Most Influential event in New York. She donned a pink Marchesa dress with black shoes and Wilfred Rosado jewels. Is Camilla Belle a Mad Men fan? Maybe, as she defintely seemed to be channelling the '60s in her black-and-white look at the Chanel Artist Dinner in New York. Camilla teamed the Prada sheath dress with 60s style make-up and an amped-up bouffant 'do. Completing the look were navy Rupert Sanderson shoes. Nicola Richie was at the H&M Fashion Star event (wish Jessica Simpson could've been there too - she's still not had her baby) in New York looking fab in a bright combo of black-and-yellow almost-zig-zag striped dress and red satin platforms. Nicole's silver spike earrings are from her House of Harlow range. Nicole wore her hair up in a high top knot bun. Get a guide for this look, often rocked by Miley Cyrus, at the STS site. Khloe Kardashian attended the opening of Scott Disick's new NY restaurant a few days back in this teeny mini dress look. Khloe wore the black lace mini with a black leather jacket and off-the-moment orange sandals from Jimmy Choo. 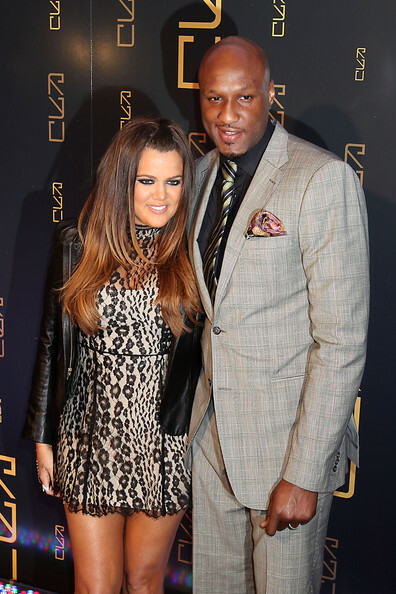 A whole load of rings but no bag completed the look as Khlo's only arm candy was hubby Lamar. Khloe's Jimmy Choo "Letitia" Platform Sandals cost $1,495 at nordstrom.com. Another great look from Victoria Beckham! This time mixing it up a little adding red to her signature black look. Victoria teamed the dress from her collection with tall peep-toe shoes and a chain-handle bag from her own collection too. Wearing a similar yellow-gold hue to Michelle Williams but going all-out in her dress was Kim Kardashian at book signing in L.A..
She later followed up with: 'Flash a little bright but here's the after pic!!!'. Kim's make-up did indeed look fab as did her Roland Mouret dress. She wore it with snakeprint heels from Givenchy. Paris Hilton was still at Coachella as week 2 commenced but she switched from hanging with bro Baron, and Afrojack for old family friend Brandon Davis. Paris was in her signature pink, teaming the look with a floppy hat and neon pink handbag from Rebecca Minkoff. The Rebecca Minkoff Neon Pink Mini MAC Bag costs $195 on-line at the rebeccaminkoff.com site .